This is my most favorite subject in the world, tea. 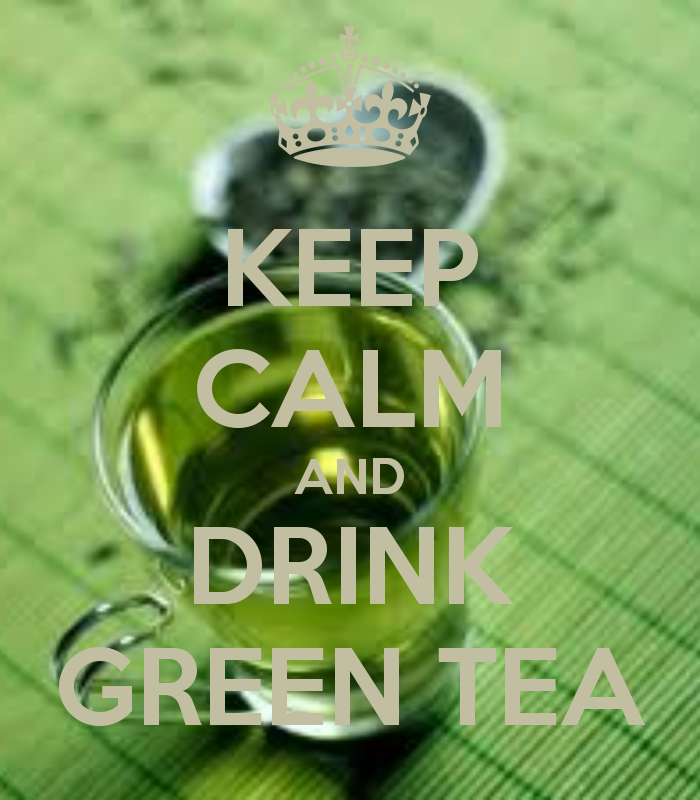 Green tea has been used as a medicine for thousands of years with its origins reaching and starting at China. When green tea is made, it is not fermented, unlike black tea, and therefore keeps all of its antioxidants and other nutrients that give green tea its so many benefits. This is such an easy thing to incorporate into your daily routine in order to keep you beautiful and healthy, so I don't see why you shouldn't try it. I'm going to keep this brief and just list below the absolutely amazing benefits of this tea and hopefully convince you to give it a try. 1) Skincare - Green tea has anti-aging and anti-inflammatory properties which helps maintain your skin's youth and reduces swelling and the appearance of redness in the skin. You can ingest this tea on a regular basis or use it on your skin in a mix of honey as a face mask. 2) Anti-aging - Whether green tea is applied directly to the face (honey and green tea face mask) or whether consumed daily on a regular basis, it has been proven that green tea is a fabulous weapon against aging due to it being an antioxidant. 3) Weight loss - Green tea has been proven to aid in weight loss due to the fact that it boosts your metabolism naturally and helps you burn around 60-70 calories per day! You know how much you have to work out for that? Too much. 4) Blood pressure - Green tea is believe to control blood pressure and puts you at a lower risk for high blood pressure. 5) Makes you happier - A naturally found amino acid in green tea, theanine, helps calm you down and pours a relaxation over you. This reduces the risk or symptoms of depression. 6) Anti-viral and Anti-bacterial - It's beautiful when you find something that is anti-everything bad. Green tea has been considered in recent studies as a "cancer reducer." This tea can help you from simple things such as the common cold, to infections, to cancer (with the addition of a vitamin C boost). Something delicious in place of cough syrup. 7) Memory Booster - Green tea has been proven to help with memory from recent studies showing the effects of green tea protect brain cells and repair damaged brain cells. 8) Helps asthma - Green tea helps relax the bronchial muscles which reduces the severity of asthma. 9) Reduces tooth decay - The anti-bacterial properties in green tea helps treat any dental diseases and prevents cavities. 10) Cholesterol and heart health - Green tea helps bad cholesterol and is also thought as a preventative to heart disease according to recent and accurate studies. It prevents the formation of clots and relaxes the blood vessels for better blood flow. Tip* If you have a bit of a sweet tooth (I am personally guilty of this), drink your cup of green tea with a teaspoon of honey, which has amazing health benefits in itself (which you can read on my previous blog about the uses of honey and its benefits). In my opinion and past experience, NOTHING goes better with green tea than a little bit of honey.